Welcome to the Presidential Commission on the Status of Women at the University of Utah. On behalf of the commission members I invite you to use this resource to make connections within our larger academic community. The site can help answer any questions you may have about the commission, learn more about the resources available on campus specifically designed to address the concerns of women, and connect with others who share your interests. We are an action-based commission, serving the needs of women faculty, staff, students, and administrators. The commission serves as a resource to any individual or group at the University. Please contact the Commission Chair or any member of the commission with requests, suggestions, or issues of concern. Elizabeth Tashjian, PhD, is an Associate Professor of Finance at the University of Utah. 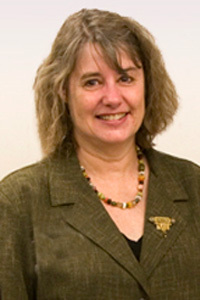 She joined the faculty in 1986. She has been a visiting professor at the Hebrew University in Israel and at INSEAD in France.